No Gaz as he’s watching race cars go around in circles. 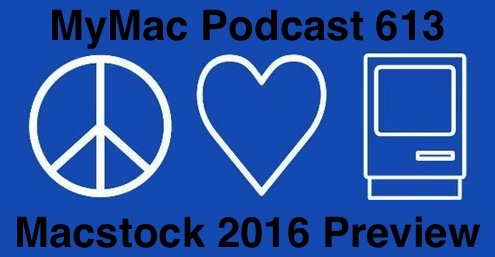 However Guy soldiers on alone in the 1st and 3rd segment but has Mike Potter the creator of the Macstock Expo to talk about all the great speakers and fun coming up in just 5 days. Be there or be sorry you weren’t there.